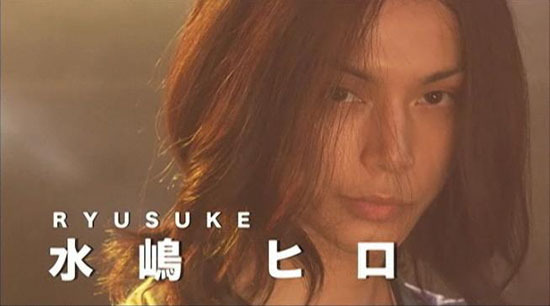 I had always thought I had gotten over my pretty Japanese boy phase and then comes the BECK live-action and has me in a fangirl frenzy. 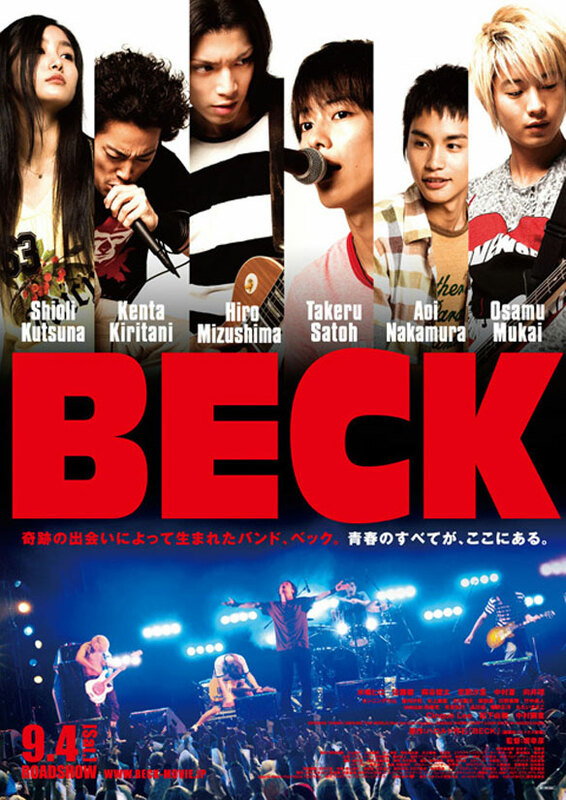 BECK is about these five guys –Chiba (Vocals), Koyuki (Vocals, Guitars), Ryusuke (Lead Guitars), Taira (Bass) and Saku (Drums)– who form this band and are trying to make it big in the Japanese music scene. Huh, there’s not a lot I can add to that to describe the plot. It’s mostly character driven, focusing on the band members’ relationships with one another. This is the first anime live-action adaptation I’ve watched where the actors are just as, if not more attractive than their animated counterparts. The movie was a pretty good adaptation of the series. Of course since it’s pressed for time, there wasn’t a lot of character growth and the relationships between the characters weren’t fleshed out as well in the animated series if fleshed out at all. The American characters look very cartoonish and border on stereotype, and I thought they mis-cast Maho. The actress (Kutsuna Shiori) was pretty, but she lacked the badass vibe animated/manga Maho had. 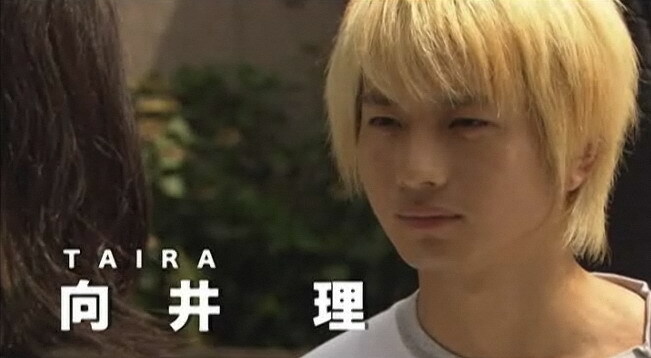 The guy who played Chiba (Kiritani Kenta) was awesome though. He got all of Chiba’s quirks without looking forced. BECK was a fun watch. I now feel like I have to rewatch the anime since it’s been years. I also feel the need to sing in a band again. I only wish they used some of the music in anime because it was so iconic of the show, so I leave you with the anime’s opening theme. I consider myself ‘lucky’ that I dropped by your blog. 😀 And this particular post took much of my interest. I’ve been a fan of Beck animated series and this, a live action is a must see. Fangirl frenzy never goes away. You hibernate but the right eye candy can get you rabid again.